Synthesizers revolutionized the music world when they appeared in the middle of the 1960s. Suddenly, musicians could create entirely new sounds, and even develop instrument tones the world had never heard before, by manipulating electronic signals. Even though modern computers allow us to achieve some of the same effects, any musician familiar with synthesizers knows that modules still deliver possibilities that are in a league of their own. As each new generation discovers the potential inherent in synthesizer music, the number of synthesizer and Eurorack accessories has kept expanding. Musicians always regard more possibilities as a good thing, but you can easily find yourself bewildered at the staggering number of accessories that you can buy. We checked out the current crop of synthesizer and Eurorack accessories to see which ones modern musicians need. We think the Korg ARP Odyssey Module is the best all-around synthesizer accessory, because of how it combines classic synthesizer sounds with novel ways to experiment to get the sound you want. As we’ll discuss in this review, many other accessories exist that may work better for musicians who have particular preferences for analog or digital technology, and for those individuals who are looking to build a fully modular or just a partially modular synthesizer. 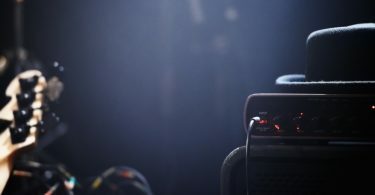 Like many types of instruments, musicians often have highly opinionated views of which synthesizers are the best, and which accessories are central to the experience of making music with them. We know that it is important for you to be able to base your synthesizer accessory purchase decisions on a trusted source. Our views on Eurorack and synthesizer gear are based on personal experiences creating synthesized music, and making use of both analog and digital accessories. We also decided it was important to make sure that other musicians’ views were incorporated into our rankings. We decided that we would go through an exhaustive list of the current commercially available accessories, and then assemble our shortlist of eight of the best components that people could find on the market right now. We weighted our choices for the leading eight synthesizer and Eurorack accessories, and our decision to name the Korg ARP Odyssey Module as the best of these accessories, on our own perspectives, the insights offered by our readers, and by musicians and producers who have incorporated synthesizer modules into their own compositions and performances. 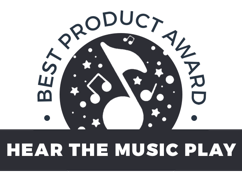 This way, we can give you valid information on the benefits and drawbacks of each piece of equipment, and also discuss which musicians will most likely enjoy these accessories. Before you start using Eurorack and synthesizer accessories, you need to have an understanding of what these terms refer to. Synthesizers can refer to any technology that emits and manipulates electric voltage signals, either directly, through analog equipment, or indirectly, through digital interfaces, in order to create sound. Some synthesizer equipment is hardwired, meaning that a single unit can perform a few functions, like initiating a sound wave, creating sequences of given signals, and altering waves that are initially produced. However, musicians also use modular accessories to accomplish countless tasks, as the Wikipedia article on modular synthesizers explains. Accessories may filter signals that pass through them, process and alter sound waves, or modify the timing and initiation of sounds, to name just a few uses. Over time, the combination of new technologies and fresh ideas have continually expanded the different types of synthesizer accessories you can find on the market. “Eurorack” is the term given to configurations of synthesizer modules and effects, pioneered in the mid-1990s, that use a standard system of dimensions in rack units. 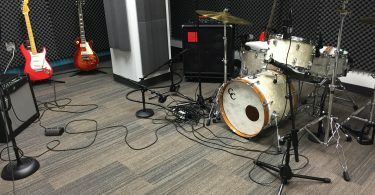 This system permits musicians to hook up their favorite accessories on commercially available audiovisual racks, instead of needing individually customized racks to hold their equipment. In hindsight, having standard sizes for synthesizer accessories might seem like a necessity for musicians who want to use those accessories. Initially, anyone who wanted to customize electronic sounds had to either know how to custom-build shelves or equipment racks themselves, or know someone who could build them, because early modules would not always fit on standard audiovisual racks. The Eurorack system allows musicians to skip right to the best parts of having synthesizer accessories: playing with them, tweaking settings, and creating music. Keep in mind that you will need to get at least one rack to hold your equipment if you plan on using modular synthesizer accessories, if you do not already own one. We often think of high-tech gadgets, including many pieces of musical equipment, as growing more compact over time. 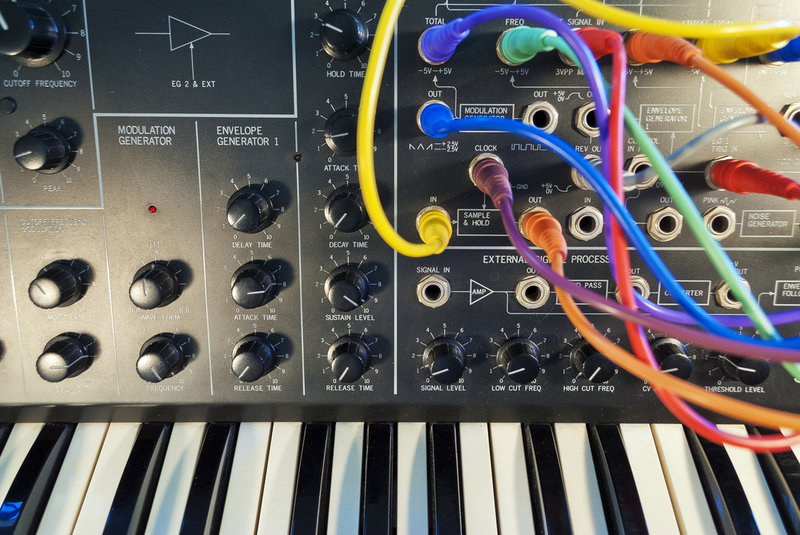 Modular synthesizer accessories are not always compact, even if they are new, because they require space for internal electronic components, and analog accessories may have extensive components to allow a user to manipulate signals manually through knobs or sliders. Even a few accessories, then, can take up a significant amount of space. If you have only a small room to play music in, you may need to find a practice spot to keep your synthesizer equipment. If you are going to be transporting your equipment to school, band practice, or concerts, you will need to make sure you buy mobile racks. Synthesizer accessories can quickly accumulate to the point that you will need more than a single rack to hold them. If you plan on building up a large system from individual components, you will need enough racks and the physical space to store all of your Eurorack equipment. You will also need access to electricity outlets capable of providing power to all of your accessories. Although the Eurorack system has become standard for many synthesizer accessories’ spatial dimensions, some pieces of equipment use different types of power supplies. Before buying new accessories, determine whether you can attach them to a power generator you already have, or if they will require a separate power supply. You may find that you must purchase compatible power supplies before using the equipment. Check ahead of time to ensure that the voltage required for given accessories and power supplies are compatible with your wall outlets, or that you can obtain the right converter to run them. Fortunately, most accessories can make use of a broad voltage range, meaning their input and output signals tend to be compatible with one another. Modern synthesizer accessories are more likely to make use of standard jack sizes to connect to one another. Of course, you will still need to purchase enough cables to connect the accessories that you buy. If you are planning on mixing older and newer components, you will also want to make sure that you have the right types of cables to connect your accessories to one another. Having a high concentration of electronic accessories in one place can create a large amount of heat. If you are not careful, temperature increases can damage your equipment and create a risk of fires. Older accessories may require equipment to control voltages in order to avoid high temperatures. Today’s equipment does not carry much of a fire risk, but you will still want to make sure you mount and connect your components properly. Also, make sure you know which pieces of gear will generate heat, and leave enough room for air to flow near those accessories and your power supplies to prevent overheating. The Wikipedia article on synthesizer modules and accessories contains an extensive list of accessory types and functions, but there are a few core attributes that differentiate them. Multi-purpose vs single-purpose – Synthesizers like Korg’s ARP Odyssey Module can accomplish multiple synthesizer functions hard-wired together in a single unit, but they can also be connected to additional modular accessories in order to expand on the initial sounds and effects that are created. Single-function units are designed to accomplish one main action, such as oscillators, which will allow you to change the frequency of a signal that passes through them. To change the signal in another way, such as filtering out certain bands of signals, you would need a separate accessory. Purpose of the accessory – Modular accessories, broadly speaking, may be signal sources, process signals, or impose logic on a signal. A source accessory generates an electrical signal, which can vary by the signal’s wave properties, whether the signal is continuous or temporary, and how the signal’s envelope, or voltage properties, are controlled as it is emitted. A processor changes an electrical signal that enters it, which allows for certain frequencies to be filtered out, for the amplitude to be altered to a desired level, or a voltage signal to be repeated, to name a few options. Logic accessories are responsible for imposing a given order on the signal, for example, by ensuring that a source signal emits at regular intervals of time. Physical dimensions – As we mentioned earlier, Eurorack units have compatible sizes in rack units, but even modern non-Eurorack synthesizer accessories will generally fit on a standard audiovisual rack. That said, fitting together accessories from Eurorack and non-Eurorack components on a single rack can sometimes prove to be a challenge. Electrical properties – Accessories may use different voltages as input and output signals, but they can utilize a range of voltages. They may also require power source voltages that may differ by the country they were manufactured in, although this is more the case with older components. 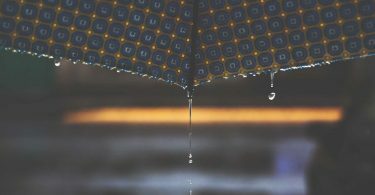 Patching properties – The types of cables and jacks required to connect Eurorack and general synthesizer accessories have become more standardized in recent years, but some accessories may require unique jack sizes and types to transmit signals correctly. Also, while patch cables are usually used to connect today’s accessories, there are some Eurorack accessories that utilize smaller pins to send signals. The process of choosing synthesizer and Eurorack accessories requires you to think ahead about your own level of experience with synthesizer music and what you want to achieve with your system. Newcomers to synthesized music may want to start with synthesizer accessories that offer a comprehensive range of functions in a single unit, which can then be connected to modular accessories later on. If you have previous experience using multi-purpose synthesizers, and want to be able to have more control over the types of tones and music you produce, you may elect for a fully modular synthesizer design. The individual accessories that you select for your synthesizer unit often involves some degree of personal taste. 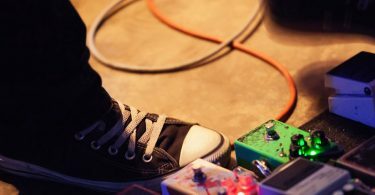 There are basic accessories that you will probably wish to have regardless of your musical preferences, such as an oscillator, filters, and function generators. However, other accessories like sequencers may only be necessary if you wish to loop or repeat certain sounds in your music. Personal taste can also influence whether you decide to obtain a set of accessories that is only composed of analog equipment, or whether you may wish to integrate digital equipment, including your computer, which can require you to employ signal conversion. Out of all of the products we considered, the Korg ARP Odyssey Module is the best synthesizer accessory. The Korg ARP Odyssey Module is not a true Eurorack component, but is instead a multi-purpose device that serves as a control system and delivers several accessory effects. This accessory is more expensive than some of the single-purpose modular options out there, with a cost of $599.99, but the ARP Odyssey Module delivers great value for your money. The Korg ARP Odyssey Module is intended to be used as a signal source, control element, and processor in one unit. It is designed to be be placed on a desktop or stand, and its slider-based control layout lends itself to ease of use. It can still interface with Eurorack components, because it makes use of an analog interface. It allows for classical synthesizer sounds, for one, by providing clearly delineated slider and switch settings. Even without a piano keyboard, which was present in the original ARP Odyssey of the 1970s, we found it was easy to create many sounds of the era, from clean tones suitable for pop songs to more ethereal and ambient soundscapes. The layout does not artificially limit the musician’s experimental possibilities when using the ARP Odyssey Module, either, by oversimplification or by forcing the musician to use a few pre-built settings. 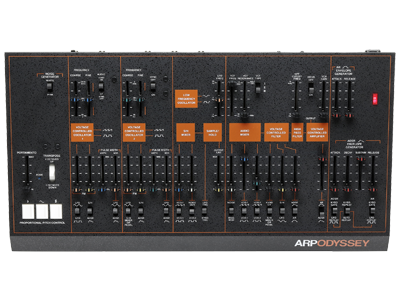 The ARP Odyssey Module has a large number of synthesizer functions. We found options for controlling all aspects of sound envelopes, wave forms, pitch, oscillation, gain, and filters, which encourages experimentation. Newcomers to synthesizer music could probably use this device with some practice, while synthesizer veterans may desire additional accessories for functions this product does not include. This is an analog device, but it does offer MIDI compatibility via standard MIDI and USB ports, so you can interface it with digital devices. I like this feature, because it means that I could use it with digital recording programs and manipulate the sounds on the computer, so that I could develop instrument tones to save and use at any time. While the ARP Odyssey module has plenty of output jacks, the inputs are more limited. If you have a Eurorack system that already has source accessories, you may encounter limitations trying to integrate your synthesizer using the ARP Odyssey Module to process sounds from those sources. We decided to name the Mutable Instruments Yarns MIDI Interface as our runner up synthesizer and Eurorack accessory. This accessory is priced at $359.00 which at first might seem pricey for a Eurorack component. However, we selected this product as our runner up because it is at once an accessory that many Eurorack users will find vital for recording and producing, while at the same time providing several essential functions within a Eurorack synthesizer system. The Yarns provides voltage information on a display, so that you can both monitor and control analog signal output from it. Equally critical is that it allows for both MIDI input and output. You can use a computer, MIDI keyboard, or a digital piano as a controller to play specific notes while having full control over the voltage signals they convert to, and process those notes through your Eurorack synthesizer after the Yarns converts them. You can also use the MIDI output to record synthesizer music on any MIDI-compatible device. It also offers both arpeggiator and sequencing functions that can be stored within the device’s internal memory. This feature could help address one of the more common issues that musicians accustomed to digital producing and instrumentation run into when working with analog equipment. 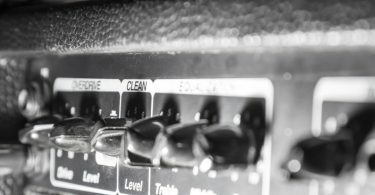 Often, they report that they run into problems trying to re-create analog settings for tones that they like after they have changed the settings. With the sequencer, you can save pre made sequences for further manipulation, and you can also save conversion settings. The Yarns is therefore a useful accessory for musicians making the jump from digital to analog synthesizers, and for Eurorack purists who solely want to make digital recordings of their work. However, you will want to have at least some knowledge of how analog synthesizers operate, and own other Eurorack components to interface with the Yarns, for it to be a useful accessory for you. 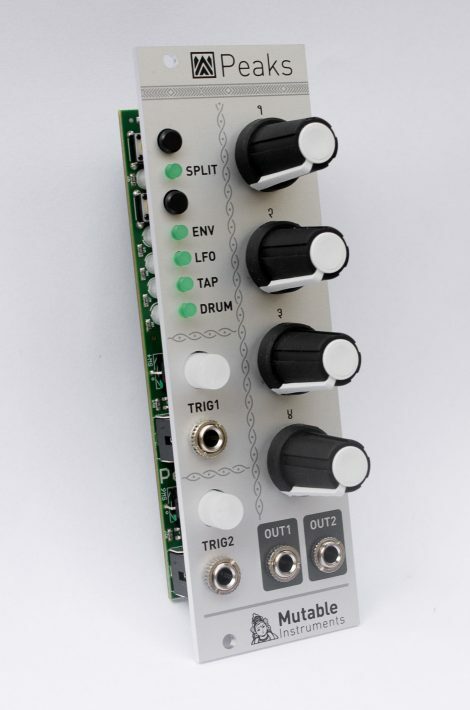 The Pittsburgh Modular MIDI 3 is another Eurorack accessory that enables you to create an interface between digital equipment and an analog, modular Eurorack synthesizer setup. You can find this accessory for Out of stock which is within the standard price range for many Eurorack accessories. Although it contains a MIDI input jack that can be changed between channels, there is only one jack, so you will not be able to use the MIDI 3 as an output source for MIDI signals. It does, however, let you control a Eurorack setup with the MIDI device of your choice, from a simple keyboard to a full computer-based workstation. 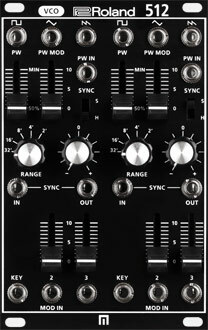 The MIDI3 offers clock, pitch bend, voltage control, and arpeggiator functions. We liked the idea of a multi-purpose unit, but think that this unit is better for seasoned Eurorack users, because you will need oscillators, envelope generators, and filters, along with control inputs, to experience the full extent of its capabilities. 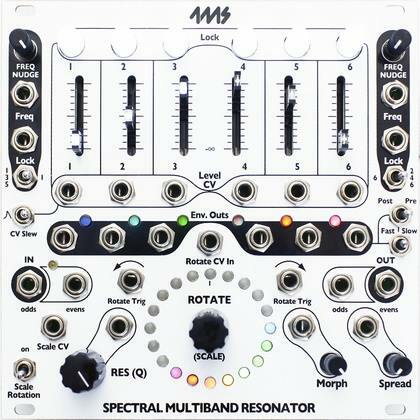 The SMR Spectral Multi-Band Resonator, made by 4MS, is a Eurorack accessory that might intimidate someone without advanced Eurorack synthesizer knowledge, but it also delivers some unique and useful functions. At $475.00, the SMR is a high-end Eurorack item, so it may also be out of the price range of someone who is just beginning to construct an analog synthesizer. We liked the way that this accessory offered standard filter options, but allowed for six-band filtration and had a novel colored light display to show both the frequencies that were allowed as output, and the envelope outputs that were being used. Depending on how you chose to use the SMR, you could potentially create chords from input signals, change their frequencies to play distinct notes, or alter signals to emulate vocoder effects. Another feature we appreciated was that the frequency detection could be used to activate triggers. I thought this would be helpful for trying to isolate certain sounds that I would want to include in a sequenced beat, including if I were attempting to sample music that was being input to a Eurorack system. The somewhat unique layout means that even synthesizer aficionados used to filtering and quantizing sounds might need to play around with this accessory to use it effectively. 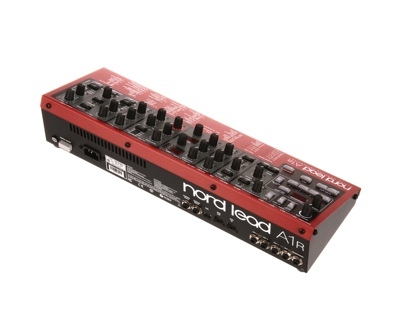 The Nord Lead A1Rack Analog Modeling Synthesizer is Eurorack multi-purpose accessory that offers many synthesizer possibilities, but does not always succeed in melding the digital and analog components it aspires to achieve. The Lead A1R can be found in the price range of $1,500 up to $1,700, and it is a comprehensive synthesizer in some ways, as it allows for extensive waveform editing and processing. The digital functions include the ability to program functions and settings, which may be welcome to individuals who want to be able to have set sound configurations that they can easily pull up and use at any time. Individuals combining digital workstations and analog processing may also like the ability to employ standard MIDI and USB ports for input ant output. However, Eurorack users who have entirely analog configurations may prefer the act of experimenting and never necessarily coming up with the same tone twice. The Eurorack sizing and analog outputs, along with the use of knob controls, belie the use of digital analog modeling that actually used inside of this device. Analog purists may not agree with this assessment, but some of the edited sine wave and square wave tones that can be created through the Lead A1R seemed to us like fairly passable representations of actual analog synthesizer sounds. 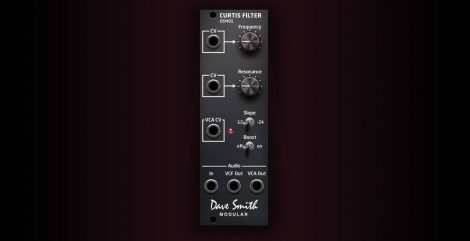 Manufactured by Dave Smith Instruments, the DSM01 Curtis Filter Module is a simple, but effective Eurorack accessory. This component can be found for Out of stock and offers a filtering experience that is fairly straightforward. Its bare-bones design is actually an asset, because the DSM01 Curtis Filter can be quickly employed for both filtering and resonance functions. 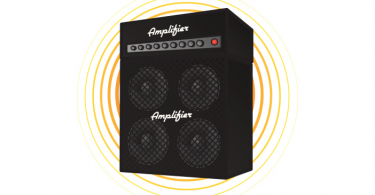 The accessory conducts low-pass filtration at two settings, while also giving you the option to apply overdrive with adjustable resonance, compensating for the missing frequencies, and ensuring a more raw, full sound as the output. We liked the inclusion of multiple outputs to allow for both pre-processed and post-processed sounds, expanding the possibilities for use beyond what a low-pass filter would usually be capable of offering. We also thought the ability to utilize the filter as an oscillator was a potentially helpful feature, depending on the type of music you might be making; the oscillator function can only be used in one of the two filtration modes. Other filters certainly provide more options, but the DSM01 Curtis Filter could still find a home in certain Eurorack setups, especially given that it is one of the more compact accessories that are available for synthesizer systems. The Roland 512 Dual VCO is an oscillator made by a highly reputable synthesizer manufacturer, but one that is less known for its Eurorack accessories. Available for purchase between $498-$550, the 512 Dual VCO is not an accessory for someone who is developing a synthesizer on a limited budget. However, this accessory has tended to be well-regarded among musicians because it is compatible with most other Eurorack components and does not need to be used with a hard-wired, multi-purpose Roland synthesizer to achieve full functionality. This module allows for multiple methods of oscillation. First, users can change the frequencies of their input signal, as with any oscillator, although the 512 Dual VCO, true to its name, allows for two separately controlled oscillation functions. By changing which jacks the signal enters through, too, the Roland 512 Dual VCO also allows for musicians to change the shapes of the wave forms. We also saw some possibilities with the synchronization feature, which lets the user synchronize inputs from different channels in an adjustable manner by adding the output waves together. This permits more complex tones from the 512 Dual VCO’s output than a single oscillator does. We think that this feature would be highly useful for allowing musicians to develop robust, and highly pleasant, sounds. The Mutable Instruments Peaks accessory is a dual trigger to signal converter. This item sells around Out of stock and can be used with Eurorack and other synthesizer systems. We liked the level of customization that this accessory delivered, because it provided full control over the sound envelope functions for sounds with two output channels. Peaks could allow for a range of potential sound editing, it could also be useful for musicians and producers who are less used to experimenting with individual drum samples, but who want access to the drum sounds from classic hip-hop, disco, and techno tracks. We thought that the famous 808 bass kick sound was delivered perfectly through the pre-set option. The Peaks is a digital device, and as such, some musicians may prefer to avoid using it with analog synthesizers, but the outputs could be routed into an analog system because it contains its own signal converter. We did notice some limitations with Peaks because it only permitted two sounds to be produced simultaneously, and users may need more trigger options aside from the four main ones that are offered on Peaks to develop a full drum track for a completed song. While the Mutable Instruments Peaks had these shortcomings, this still could be a device that would have a place in quite a few synthesizer setups.